Nathan Peterson, a singer/songwriter from Illinois, invites us to see the world around us, and the world within, from a new place. In a culture whose foundations are built upon escape, distraction, pain-avoidance, and future-living, it is almost impossible to be where we are, when we are... let alone who we are. What is, has become peripheral. Living each moment has taken a back seat to planning the moments to come. Thus, we've traded away our right to live our life. So Am I is an invitation to come back to where, and when, and who we are. To live our life - life the way it is. 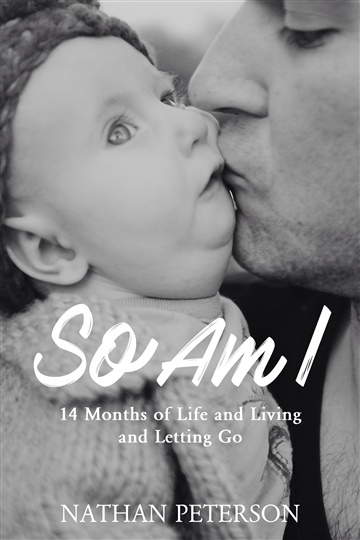 Nathan describes with great transparency his fight to live each moment of the 14 months his daughter Olivia, who was deemed "incompatible with life" at birth, fought to do the same. He shares the lessons he learned from a terminal, perfect little girl, about life and living and letting go. He invites us to see the world around us, and the world within, from a new place. A place we've been longing to be.